Best Tethering Apps for Android features some of currently available Paid and Free Tethering App which will help you to connect your Android with PC or tablet. With some of these Apps listed on Best Tethering Apps for Android, you can share the Internet Connection as well. This apps listed in ourBest Tethering Apps for Android usage by a newbie, as some needs a bit advanced configuration etc. Type the name of any of the app within this list of Best Tethering Apps on your Android Device™s Android Market Place / Play Search box and you will get the app as the first result. Klink – Tether without root : Share your Android’s Internet with a PC, without rooting. This a paid app. EasyTether Pro : Tether to Windows, Mac OS X, Ubuntu, ps3, wii, xbox. No rooting needed. AndroidTethering Full : AndroidTethering turns your Android phone into a USB Internet access point for PC (both Windows 32-bit and Windows 64-bit). You will not need root access. Auto USB Tethering : This app monitors the phone USB port. 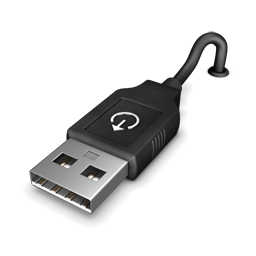 Whenever the phone is connected to a computer or laptop via a USB cable the app automatically turns on USB tethering, optionally after confirmation by the user. This a free App. PdaNet Tablet (new) : This software allows you to get FULL Internet on an Android tablet if you have an Android phone. Free. WiFi Tethering : Share your 3G/4G Internet connection with Windows, Mac OS X, Ubuntu, PS3, Wii, Xbox. No tether fees. Barnacle Wifi Tether : Turn your phone into a Wireless Ad-hoc HotSpot. Hope you have found some of these apps listed in our Best Tethering Apps for Android list to be useful. This Article Has Been Shared 4896 Times! Cite this article as: Abhishek Ghosh, "Best Tethering Apps for Android," in The Customize Windows, March 29, 2012, April 20, 2019, https://thecustomizewindows.com/2012/03/best-tethering-apps-for-android/.